NewZNew (Ludhiana) : Hero Ecotech Ltd., a leading innovator and manufacturer in the bicycle industry, is all set to revolutionize the face of biking in India, especially for those who seek adventure with luxury to make a statement. 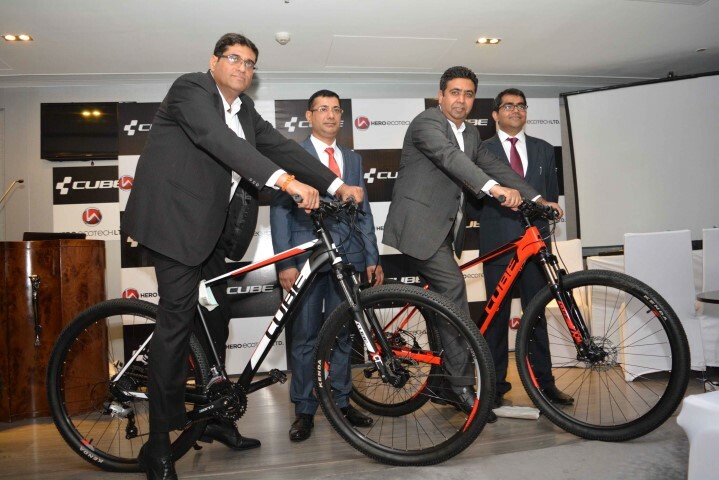 Hero Ecotech launched CUBE- a premium bicycle brand from Germany, in the city today. CUBE, a manufacturer of high-end bikes established in 1990, has now become a pioneer in the Mountain and Road Race segment. With over 40 company owned specialized stores across Europe and Asia, CUBE is famous for being the preferred ride for the Belgian UCI Continental team. These premium bikes are now available in India across 22 locations as of now. The mid to high range bikes come in 7 different variants and the prices start from INR 35,500 and go up to INR 92,000 approx. Mr. Lokesh Malhotra , COO, added that addition of Premium German Brand “CUBE” to our Product portfolio completes the range and our presence across all segments and price points. Launch of “CUBE” has further strengthened the belief of our customers to expect Hi-Tech and world class Quality products from Hero Ecotech Limited. “CUBE is a bikers’ true mate. It is safe, strong, high-tech and what sets it class apart is that it has passed the highest benchmark in the safety standard- the DIN+”, he further added. Hero Ecotech Limited has gained International acclaim and recognition by ensuring quality, performance and trust. This came through sustained efforts and their ability to cater to a vast domestic and global audience. The brand has ensured that there is a ride for everyone. 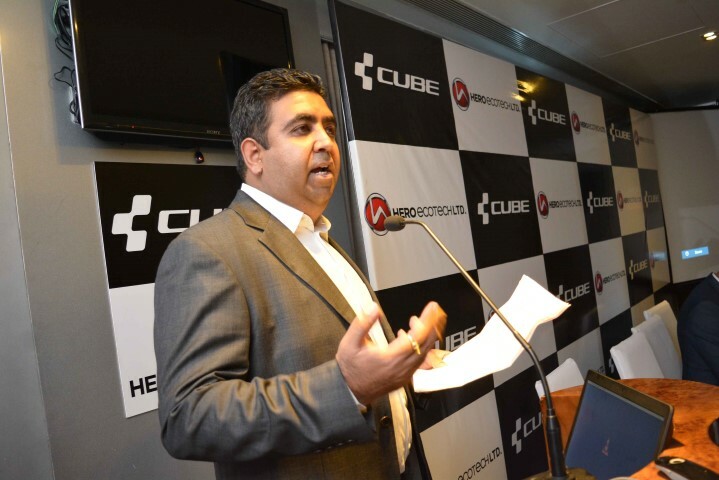 Mr. Yashunandan Varma, GM-Sales, says, “We are glad to be entering the Indian market with a brand as big and as promising as CUBE. By introducing CUBE, we want to completely change the biking experience for the Indian consumers. “CUBE” in a short span of time has already created a niche in the market and its presence in 64 countries and India being the 65th country reinstates this” , he further added. With the introduction of these next-gen bikes in the country along with the promise that the home brand “KROSS” delivers, the biking experience will be nothing short of amazing!